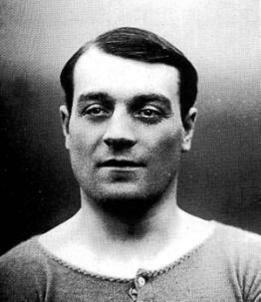 Robert Whiting was born in east London and began his football career as a goalkeeper with the Thames Iron Works, who soon became West Ham United. He later played for Tunbridge Wells, Chelsea and Brighton. He was famous for his long goal kicks and earned the nick name ‘Pom Pom’ after a long range gun which was used in World War One. 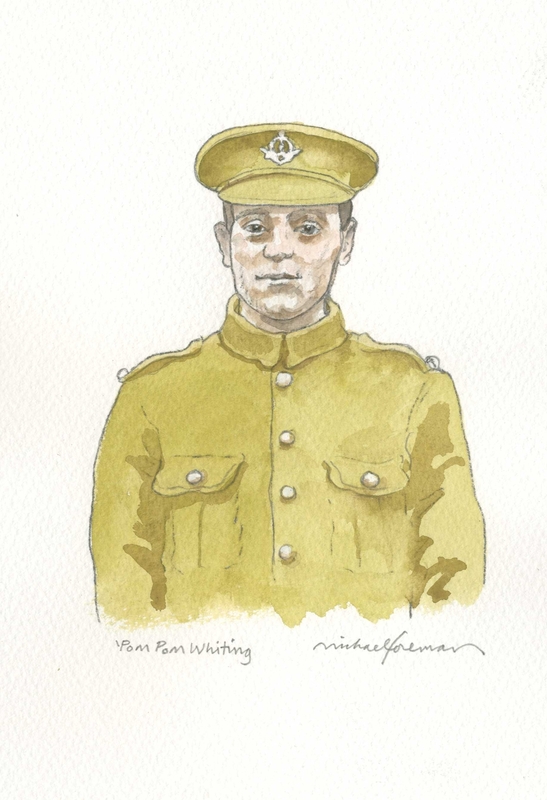 Whiting joined the Football Battalion (17th Middlesex Regiment) in 1914 and went to France a year later. In need of medical care he was sent home in 1916, he then deserted the army to be with his pregnant wife. He was arrested and found guilty but the army was so short of men his punishment was suspended and he was sent back to France to fight in the Arras Offensive. Robert ‘Pom Pom’ Whiting was killed on 28th April 1917 whilst helping wounded soldiers. He left behind his wife, Sarah, and three sons. His name is one of 34,785 on the Arras Memorial, France. After his death there were rumours that Pom Pom had been shot as a deserter. His widow wrote a letter to the local newspaper to tell the true story.